Verizon has selected Samsung as a supplier for its nascent 5G service, due to be launched in the second half of the year. The Korean manufacturer will join Ericsson as a supplier for 5G. The Swedish company having won a contract to to install the pre-standard 5G commercial radio network and the 5G Core network in the second half of next year. The new service will be launched, initially, in Sacramento, California. Under the terms of the deal, the operator will use Samsung to deliver commercial 5G home routers, radio frequency planning services and radio access units, including compact base stations and virtualized RAN elements. Samsung will be using in-house technology to develop ASIC-based 5G modems and mmWave RFICs for the commercial equipment but the company will also work with Verizon on developing some additional kit. Last year, Samsung and Verizon began 5G customer trials across seven US cities in early 2017, and have successfully tested and verified 5G performance using millimeter-wave (mmWave) frequency to provide FWA pre-commercial service. 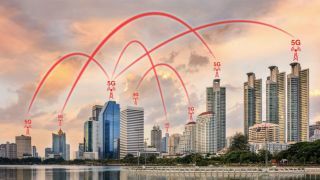 Samsung and Verizon conducted trials across the US, as a result of which, the companies have concluded thata single 5G radio has been able to reach the 19th floor of a multi-dwelling unit. In addition, broadband service has been achieved in line of sight (LOS), partial LOS and Non-LOS connections, all without being affected by environmental factors, including rain and snow.